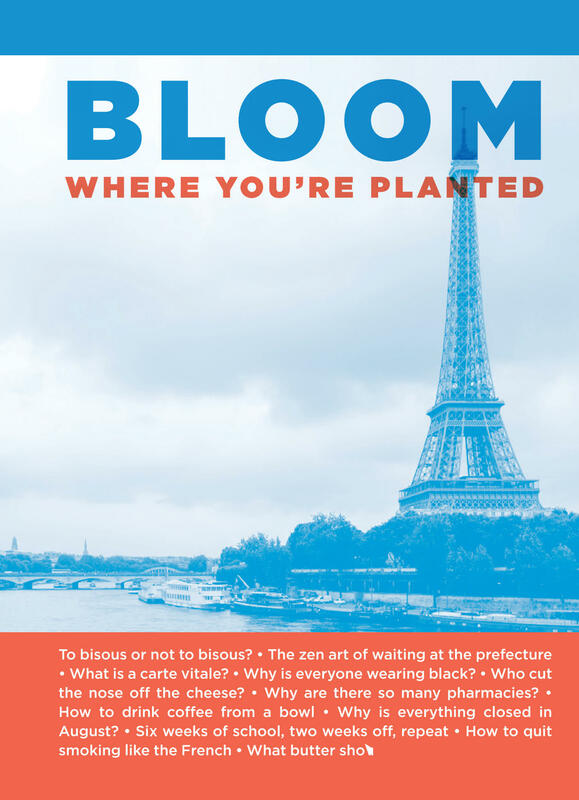 The famous Bloom Where You're Planted book for English-speaking expatriates in France has just been updated and is available for sale on this website and at the American Church in Paris. This invaluable book is packed with helpful resources and practical information on all kinds of subjects, from how to use the public transportation system in Paris to finding an English-speaking doctor, getting the right cut of meat from your local butcher, connecting with the best school for your children, enjoying the vast cultural opportunities in France, practicing your favorite sport and much more. Even those who've been in France for a while will find something new and interesting from the Bloom book. Pending validation of the online purchase options, a printed copy of the new 2018 edition can be purchased for 25€ at the American Church in Paris reception desk daily between 9h00 and 22h00 or at the Sunday Welcome Table between church services from 10h00 to 12h45. Directions to the American Church in Paris here. It's also possible to download, via the links below, a purchase form to print, fill out and mail to the Church with your payment by check (sorry, no payment by credit/debit card). Your book will be mailed to you as soon as possible after reception of your payment (the mail-order purchase price includes postage). For the first time since the initial publication of the Bloom book in 1970, the 2018 edition will also be available in the form of an e-book that can be purchased on Amazon at a very reasonable price, in the currency of your own country. You may either log on to your personal Amazon account, if you have one, or click on these links amazon.com and amazon.fr.